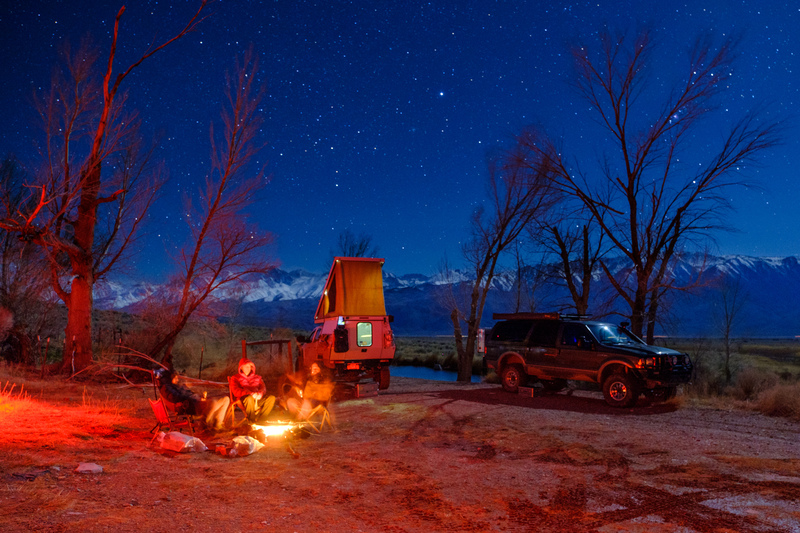 I love so many aspects of camping, but one of my favorites has always been the campfire. 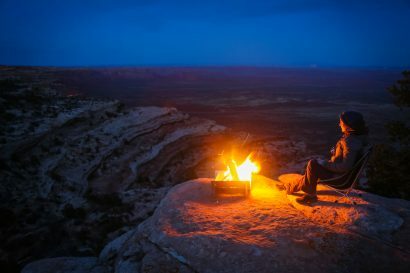 There’s something so relaxing about sitting in the cool night while a warm flame crackles nearby, and it’s the perfect opportunity to share hopes, dreams, and laughs between friends. 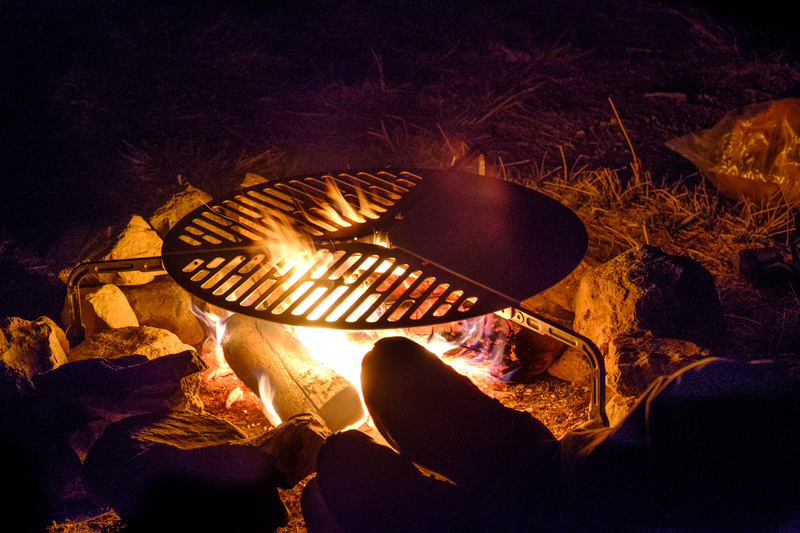 Of course, there is one thing that can make any evening by the fire better, and that’s food. My go-tos have always been hotdogs and s’mores, or even tin-foil packets filled with meat and veggies, but that recently changed with one simple product. 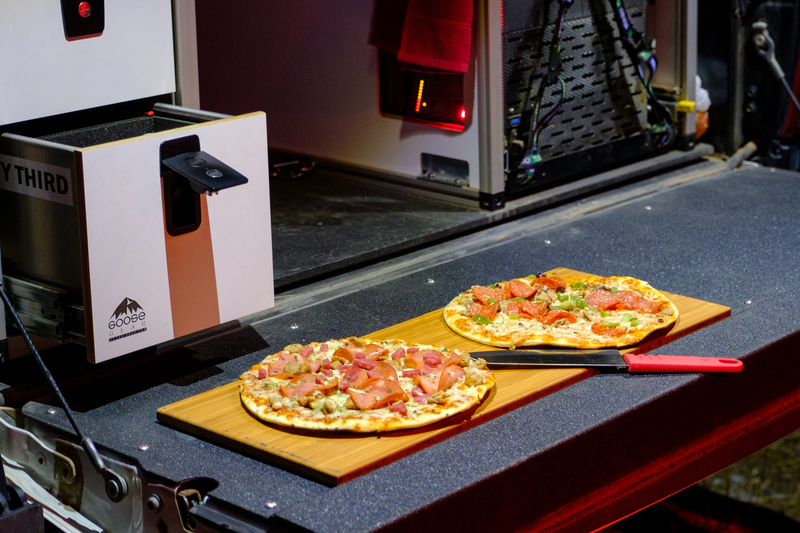 It’s called the spare tire braai, and it opens up a whole new world of cooking. The braai, which means BBQ in South Africa, is elegant in its simplicity. It is laser cut from 3CR12 stainless steel for corrosion resistance and uses three die-cast aluminum legs and spacers to hold it together. Total weight comes in at 9.9 pounds. Assembly is straightforward. 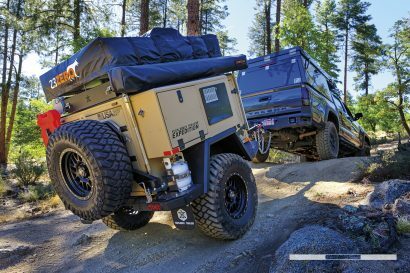 It ships flat-packed, and once you determine your tire size, you simply bolt the legs into position far enough out to accommodate your tire, then secure the grill with a ratchet. I paired mine with their tire step, but more on that in another article. Unfortunately for those of us that are detail driven, it can be a bit tedious. I found that the grill doesn’t always line up completely centered on the tire. With my 35s for example, the spacing of the holes for mounting the legs forced the face of the grill to either the left or right side of the wheel. I ended up just drilling some additional holes to center it, which took 10 extra minutes. Once it has been fit the first time, using the braai becomes ridiculously easy. 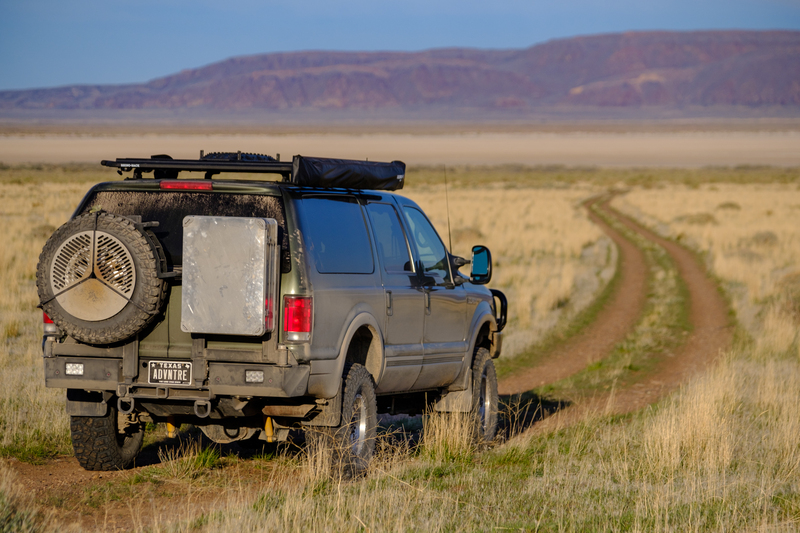 Removing it and replacing it on the tire is as simple as loosening a ratchet strap, and there’s no setup time for cooking—just throw it over the coals. 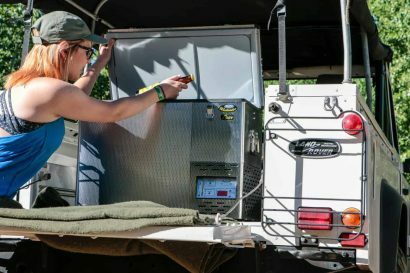 If you happen to store it on the back of the truck like I do, give it a quick dust off and rinse before cooking. Speaking of cooking, this thing is fantastic at it. The grated portions are perfect for anything you want to grill or sear, while the solid portion allows you to fry eggs and pancakes or even use pots and pans. That last feature is especially nice, as it means you don’t have to bring a stove for the side dishes like noodles or veggies if you don’t want to. The spacing is more generous than you’d expect, and we ended up cooking all of the food for our group of six on the last outing. This ability to bring folks together was a fun and unexpected bonus of the braai. Instead of everyone going back to their own vehicles to prepare a meal, we’re now able to have a community cookout while sitting around the fire. Everyone throws on the food they want and pulls it off when ready. It’s sort of like the Japanese BBQ restaurants with the grills on the table, just much cheaper and much more fun. Now judge me all you want, but I feel the need to share my favorite thing to cook on this braai so far: pizza. Yes, I know, it’s ridiculous, but I was shocked at how good campfire pizza can be. I’d recommend thin crust for even heating all the way through, and frozen pizza works fabulously. Just be sure to thaw it first. 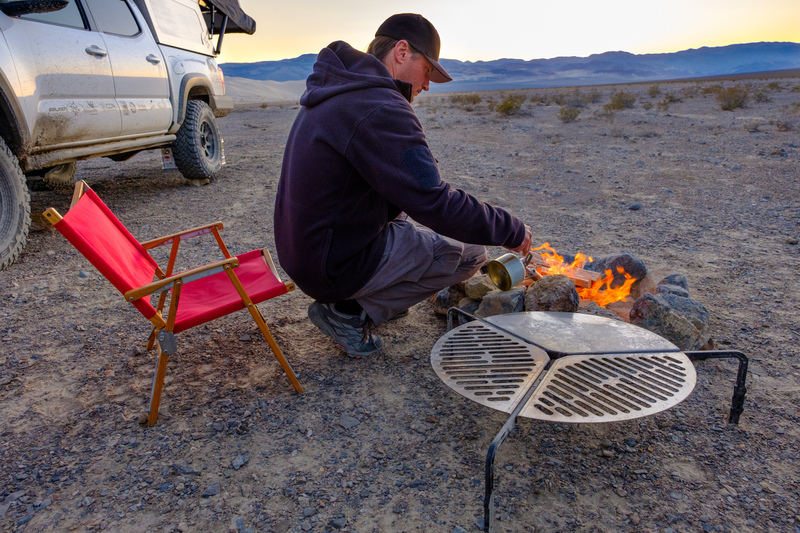 The Front Runner Outfitters Spare Tire Braai is available for $137 USD online and can be purchased in their company store here.